"I went from laughing to being convicted and ended up being encouraged by one of the finest pastors in The Wesleyan Church. When I read Mark Wilson’s writings, I enjoy the spiritual insights of an A.W. Tozer sprinkled with just enough of Garrison Keillor’s humor. Enjoy these Spirit-filled insights from the Northwoods." -- Dr. Mark Gorveatte, President, Kingswood University, Sussex, New Brunswick, Canada. 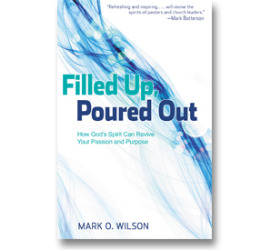 "Mark O. Wilson's Filled Up, Poured Out is an easy-to-read, engaging treatise that encourages and challenges Christian leaders to take their faith more seriously in a day when "playing church" and experiencing "ministry burn-out" are epidemic. 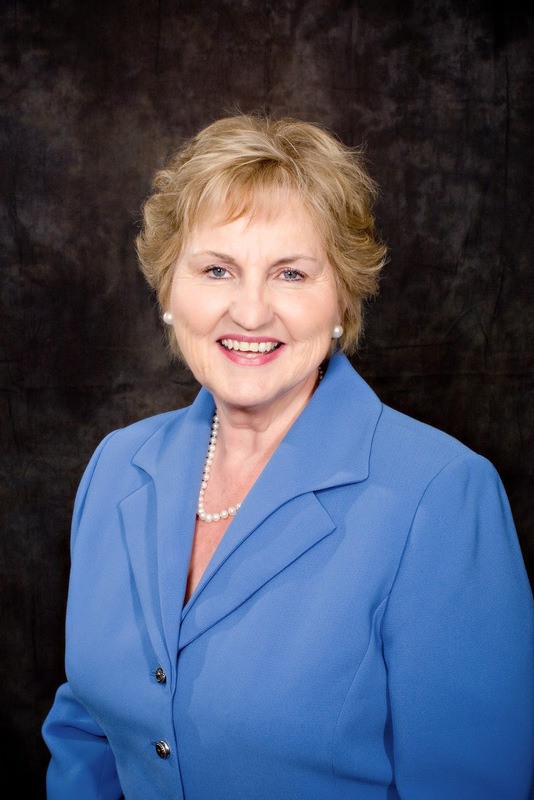 Wilson's uncommon love for Jesus shines brightly through every chapter." -- Frank Viola, author of "Epic Jesus," "From Eternity to Here," "Revise Us Again," and "Jesus Manifesto" (with Leonard Sweet). "This is what the church of Jesus Christ has been waiting for -- a 21st century call, challenge and model of Holy-Spirit-empowered living that transforms people and communities. This book is a change agent for the church of the second decade of the 21st century." Thirsty people are looking to the church for fountains of life-giving water. Too often, they find leaky buckets instead. Pastors, often running on empty themselves, are enticed by the latest fad rather than seeking to serve in the power of the Spirit. And thirsty people walk away empty, convinced the church has nothing unique to offer. Pastor Mark Wilson says it's time for the church to rise up in the power of the Holy Spirit to serve this present age. In Filled Up, Poured Out, he challenges and inspires fellow pastors to prepare their hearts to be filled with the Holy Spirit, so that they can in turn pour out God's presence, promise, peace, and power in their congregations and communities. Filled with personal, inspirational stories from Mark's experience with growing a thriving congregation in a Wisconsin northwoods town, this book will inspire you to seek the replenishing waters of God's Spirit and show you the pathway to revival for your parched soul. Order Here. Releases March 15. Filled Up, Poured Out Releases in 30 Days! "Spoiler Alert! Readers of this new book, "Filled Up, Poured Out" are likely to have their spirits revived and hearts refreshed. Rarely have I found a book where the title AND subtitle so accurately described my experience as a reader. Mark is personal, vulnerable, refreshing, and timely in his passion for those who serve in ministry leadership to be encouraged of heart, passion, and purpose. Instead of depending on "yesterday’s grace", Mark urges us to preach, pray, lead, and love through the overflow of holy love. This book is not just well written, it is well "filled up and poured out," I strongly recommend it." Win a Free Copy of Filled Up, Poured Out! Filled Up, Poured Out: How God's Spirit Can Revive Your Passion and Purpose, will be released on March 15. "Like" the Filled Up, Poured Out Facebook Page by March 15 and you could be one of five randomly selected people to receive a free copy! Below you will find the table of contents for Filled Up, Poured Out: How God's Spirit Can Revive Your Passion and Purpose, which will be released March 15. You will notice three parts with Latin titles: Vacuus means "empty or devoid of". Repleo means to replenish, fill up or satisfy", Fluo means "to flow, pour or stream." Notice the parallels between the Filled Up and the Poured Out: Presence, Promise, Peace and Power -- and yet how the outflow differs from the inflow of the same stuff. Just received word yesterday that Filled Up, Poured Out will be featured as a ministry resource at all Lifeway Stores! This is a wonderful development! Like on Facebook for a chance to win a free copy! life-giving water. Too often, they find leaky buckets instead. 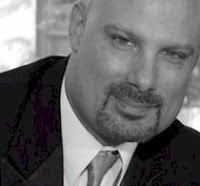 convinced the church has nothing unique to offer. the pathway to revival for your parched soul.